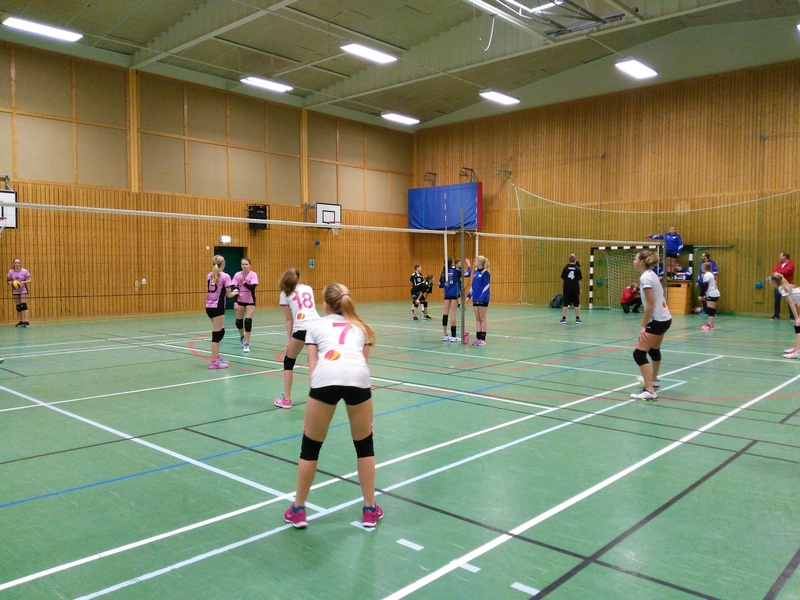 One Sunday while coaching in Sweden I attended Svedala’s annual youth volleyball tournament. Over two sites and 8 courts the club ran several age groups, and both boys and girls. I spent the day on the site of the younger groups. In theory, this isn’t meant to be about particular age groups, but rather level of play. In practice, we’re talking generally 10s to 14s. Here’s a photo from the action. The rules at this level are different than what I’ve seen in other places. The matches are 4 v 4, which is similar to what I saw in England. As with England, they also play on a lower net. The difference is that in England they play on badminton courts while in Sweden they use full-sized courts. That may sound crazy for these age groups, but there’s a twist. They allow a bounce. 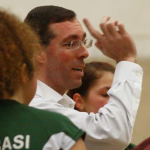 Teams must play the serve normally. After that, the receiving team can let the ball bounce either after the first contact or after the second. A bounce is not required, however. From there on the bounce can come at any point, including immediately when the ball comes over the net. The team can only let the ball bounce once each time it crosses the net. It was interesting to watch. There are definitely some pluses and minuses. – The players learn not to give up on the ball. A lot of balls that would otherwise be rally-enders remain in play because of the bounce allowance. – There are more rallies, some of them quite long. – The bounce, when used in what seems the most tactical way, creates an opportunity for players to generate more legitimate set-hit sequences. Specifically, a team can make a concerted effort to play a real first contact. 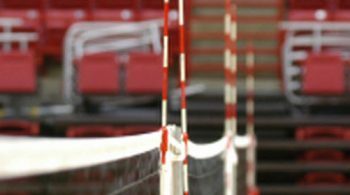 They can then use the bounce to allow the “setter” to get into good position to set, which then tends to produce better balls for the hitters. I saw some pretty good swings as a result. 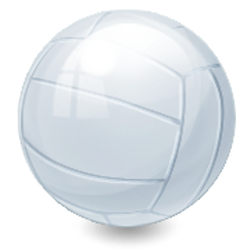 – Allowing the bounce gives players an excuse to be a bit more passive than they might otherwise be in regular volleyball. 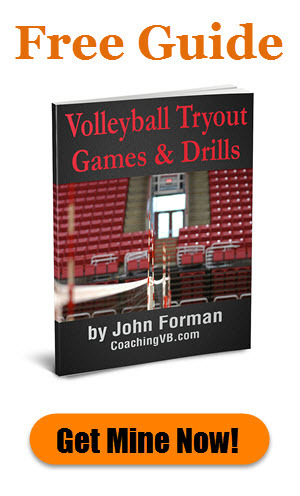 – Obviously, playing a bouncing ball is different than playing a normal pass, set, or hit. 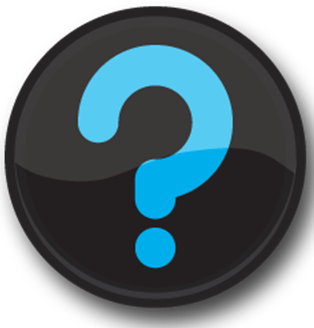 That means players are developing reading and movement patterns which will be of limited use in a real game. 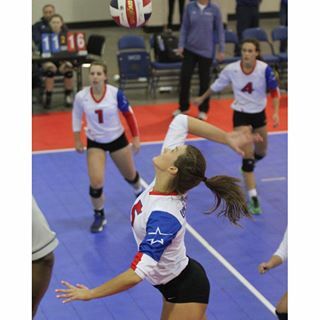 One thing that is always an issue with young players in competition is they figure out pretty quickly that sending the ball back over the net fast limits the opportunities for you to make mistakes. In other words, players are incentivized not to play 3-touch volleyball. 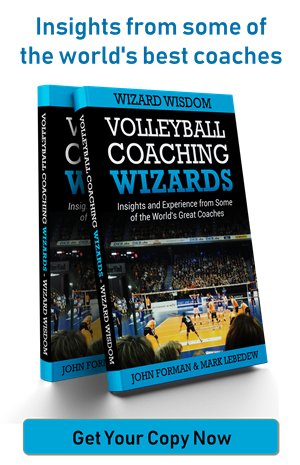 Sally Kus addressed this in her book Coaching Volleyball Successfully. I didn’t notice that changing with the bounce rule, in particular among the most inexperienced players. The more experienced players did seem willing to try to develop a real attack. I don’t know how this developed. Maybe they realized that being able to use the bounce reduces the penal effect of a bad contact. Or it could be a function of decent coaching. Perhaps both.